Chief Rabbinate warns Rabbi Stav he could lose position as city rabbi if he provides unapproved Kashrut certification. The Chief Rabbinate is threatening to remove Rabbi David Stav from his position as rabbi of the town of Shoham if his Tzohar Rabbinical Organization provides Kashrut certification without approval from the Chief Rabbinate. The Chief Rabbinate's statement comes after last week's Supreme Court ruling affirming that while the Rabbinate is the only body authorized to certify businesses as kosher, restaurants without official rabbinical certification can state they serve kosher food, though not that they are kosher. Tzohar announced after the ruling that they intend to provide independent Kashrut certification. 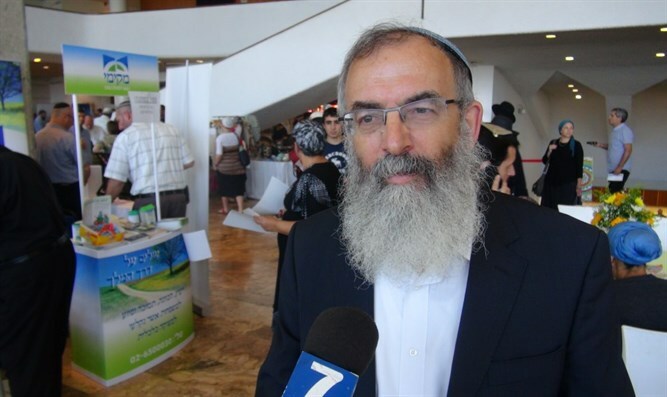 In a letter fired off to Rabbi Stav, Chief Rabbinate Director-General Rabbi Moshe Dagan wrote that "the media reported that the Tzohar organization under your leadership is considering establishing an independent Kashrut supervision system that will act as an alternative to the rabbinate." Reminding Stav that "as can be seen from the ruling given last week by the Supreme Court, businesses will not be able to present themselves as kosher or supervised by a private kashrut body." The Director-General of the Rabbinate told Rabbi Stav, that as an ordained city rabbi, he is forbidden to grant Kashrut supervision that competes with the Chief Rabbinate. "The practice of a city rabbi...to issue kashrut certificates, as a private kashrut body, is not permitted." "The Chief Rabbinate has acted several times in the past against rabbis who provided kosher certification [independant of the Rabbinate]," he said. Dagan warned Stav of the consequences should he offer alternative Kashrut certification, telling him that "we would like to clarify that if an independent kashrut system is established by Tzohar, this may cast doubt on the continuation of your tenure as [city rabbi], in view of the conflict of interest."